Are you looking for creative ways to make money? Would it be a bonus if it was online, fast and from home? I’m happy to share, that it is possible to make money from home through these creative ways. Some methods are a bit faster than others, but they all work! Finding creative ways to make money isn’t difficult. I have a list all done for you below! With the use of the Internet, the ability to earn money in other ways than sitting in an office is no longer a “wish”. It can be a reality! Click on any of the creative ways to make money from home below to read more about it. If you’ve been following along on my journey, then you know my story – but if not…let’s just say that I’m over-the-moon happy with the creative ways that I’m able to make money from home. Having the ability to wake up, start the day with my family and just walk a few steps to do work is a blessing that I’m forever thankful for. Do you know what I love best about how I’m able to creatively earn money? I’ll be happy to share, let’s just say I’ve been able to retire my husband through some of these methods below… after we talk a bit more about how you can find creative ways to make money as well! Now that this headline has your attention, let’s dive in and talk a bit more about earning money creatively. While you may need to make money fast online, don’t let that inhibit your ability to see all the available options out there! I’ve helped moms make money from selling ebooks and courses, offering tech services online or even by starting a blog. I’ll deep dive into these examples below! Understanding that there are amazing creative ways to make money is important. That’s the first step. Never limit yourself and your options because you think you’re not good enough, you’ll miss out on some super simple ways to earn money. I have one tip for you. Just one. (and a lot of ideas as well!) Read the list below and find a creative outlet that works for you! The real key to success is sticking to your plan, no matter what lucrative hobby you choose. I feel very strongly about the fact that every single person can earn money creatively. In fact, I’ve built my own entire business around just that. Helping others create their dream to be able to earn money from their own writing and blog. Again, brainstorming is key in finding something you’re truly excited and passionate about! You hold the key to your money making kingdom. Seriously! When you stop and think about it that way, the sky really is the limit, right?! Finding creative ways to earn money should be an exciting time and thought process for you. Not only are you potentially changing your focus and career, but you’re also changing the course of your life. And that is crazy exciting! While these ideas aren’t inclusive, here are some simple and creative ways to earn money. You knew this was going to be #1 on the list, right? And for good reason! I’m a firm believer (and living proof!) that starting a blog can 100% change your life. I know it did mine. There isn’t a day that goes by that I don’t stop and acknowledge just how thankful the blogging life truly is. And don’t worry, it’s not hard at all to start your own blog. In fact, I’ve broken it down for you in a very easy step-by-step post to help show you just how simple it is. In fact, I’m so passionate about the power of blogging that I was even able to retire my husband this year! 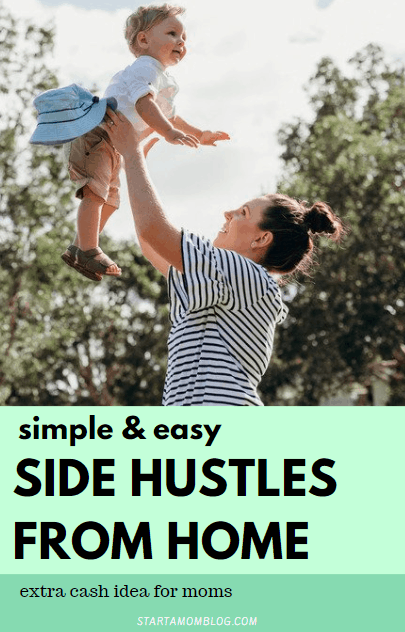 Knowing that the entire course of our lives changed because of this “side-hustle”, is amazing. I still pinch myself daily. This could be your reality as well. A blog can help you make any product a success. Blogging allows you to build an audience and library of information for your readers. 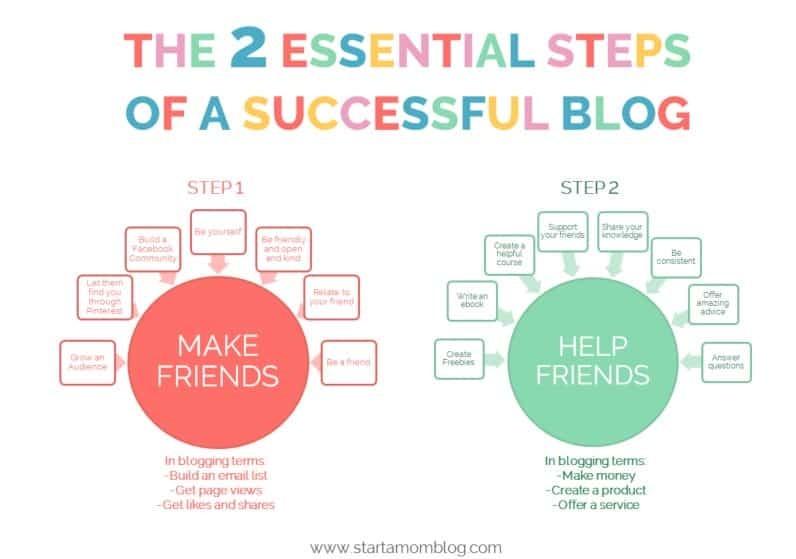 There are two essential steps of a successful blog. It’s that simple. If you have a heart for giving and helping, you can be a successful blogger. Calling all artists and creatives! If you love to doodle, create logos, change and play with colors and just have an eye for detail that can really set things apart, becoming a freelance designer can be a great gig. Being a freelancer gives you the ability to choose whatever gigs you want and focus on projects that bring you joy. After all, what’s the point of branching out and finding ways to earn money if you’re not going to enjoy doing it? There are so many online publications out there that will actually pay you for your thoughts and your words. Crazy, right?! If you love to write and have a way with words, look around online and see if any of your favorite outlets or publications are seeking writers. Being a ghostwriter means that you don’t get your name attached to the piece that you’ve written, but it does mean that you’ll get paid to do something that you’re passionate about! Have you ever stared at a food picture and wondered who actually took it? Well, the answer could be…you. There are a ton of great opportunities for food photography! If someone has recipes on their site or talks about food, they have a need for a food photographer. Period. The truth is, the pictures are what actually sell the food or recipe. Online outlets can toss up recipes all day long on their sites, but if they aren’t showing the pictures of food, those sales just aren’t going to convert. Same concept with local restaurants as well. How cool would it be to stroll into a local restaurant in your town and offer to photograph their food? Those shots could be used for their menu, marking, online social media pages, etc. And a bonus? You might even score a few free bites along the way! Taste testing and getting paid? Yes, please. I’m always amazed at how the Internet has so many opportunities for creative ways to earn money. There are literally thousands! One way to potentially make that happen? Participate in online surveys for money. You’ll have to do your own research on survey sites (read reviews, etc) to find ones that are legit, but if you have the time, you can earn some decent money. There’s also points that you can earn that you can then use to buy things online as well. All by answering just a few simple questions or clicking through to various sites. Don’t we live in an interesting time? If you have the skills, put them to use! People are always on the hunt for fitness tips and classes that are unique and fun. (Think Zumba…) And who knows, you may have a great skill or idea that you can teach others. Check and see if any of the local gyms in your area are hiring fitness instructors. Better yet, approach them with your idea for a really cool class and see what they think. And if you are still not getting anywhere, think outside the box! I’ve been on walks and saw many “pop up” yoga classes at the park full of people, all gathered together out in nature, working out! If there’s a will, there’s a way! 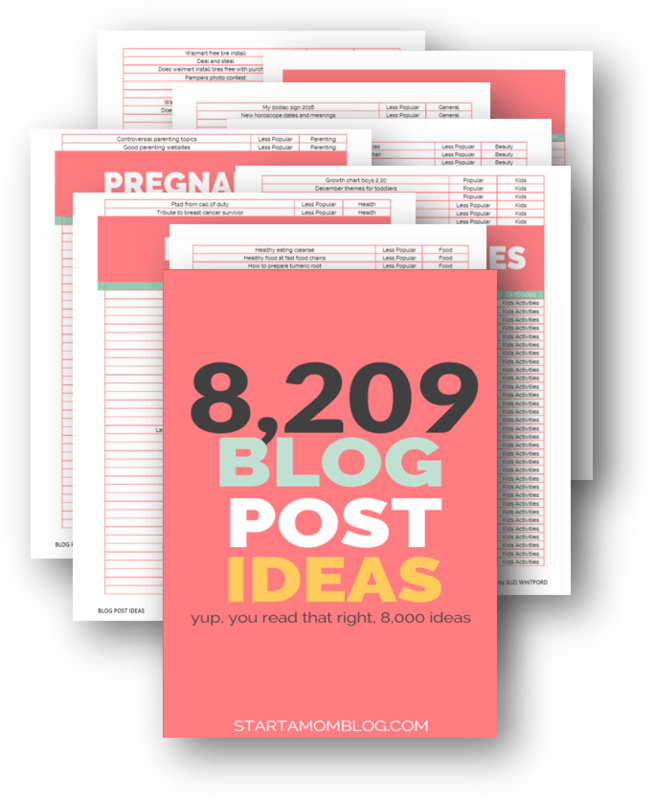 Or you can start a fitness blog and make over $20,000 per month! Unlike other freelance opportunities, Squadhelp does not require a technical skill like graphic design, web design, or the likes. All you need is a love of words and a knack for branding. Honestly, being creative can be fun! I talk to so many people who claim that they’re unhappy in the current 9-5 job and are just looking for “anything” as a way out. Don’t settle for that. Leaping from one bad job to another is going to have you leaping around for a very long time. The good news? You can find fun ways to make money that can bring you happiness! Making money doesn’t always have to make sense to someone else. If you love it and are having fun, then you’re blessed! I’m in love with this idea! First off, who doesn’t love birthday parties? Second off…there’s always cake! But in all seriousness, if you have a skill or ability that can bring others happiness, share it and earn money from it! Why not?! Juggling, interacting, face painting, telling jokes…those are all fun ways to make money that not everyone can do. You can easily create a niche market for yourself and earn a great living doing something that you’re passionate about. If you consider yourself a “foodie”, awesome. One creative and fun way to earn money is to taste test food at new restaurants in your town. You can offer to critique their food for compensation and a written review that they can then use for marketing purposes, etc. Not only can you get paid for doing this, but you can also fill your belly full of delicious food as well. Sounds like a total win-win to me. How difficult is it to make extra money from home? This is the million dollar question. And honestly, there is no easy answer. But, I will give you the real answer. Earning money from home can be easy IF you put in the time and effort in making it a success. Plain and simple. One other aspect of making money that I think is important to talk about is that not everything has to cost money to be able to get started. 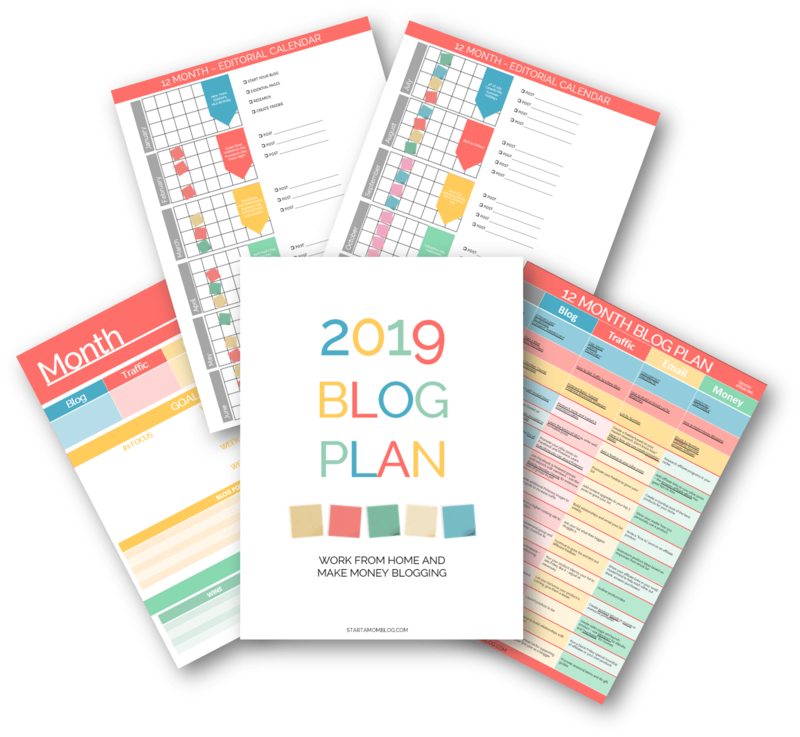 In fact, here is some information on how you can start your blogging adventure with a free blog site. Once you choose a platform, you just then have to brainstorm on what to write about! Working from home isn’t always easy. You have other chores calling your name, the laundry, the dishes, the cheerios on the floor. But if you happen to find a way to earn money from home, awesome! Working from home is a blessing, but it’s harder than most people realize. You know how your home is your place to relax after a hard day’s work? Well…that mind frame doesn’t go away just because you started working and earning money from home! In fact, the temptation to “relax” will always be there. Don’t pass on an opportunity to earn money from home because you don’t think you can….instead, approach it with the mind frame that you will. Create an “office” space in your home that is separate from everything else. Above everything, step back and take a deep breath. If there are days that those walls are closing in, take a break and go for a walk. Breathe through it…do whatever it takes for you to feel cool, calm and collected. Some days, earning money is easy – and then sometimes, it just isn’t. We all go through days of doubt and stress. It’s common. What will set you apart from everyone else dealing with the same feelings is how you react to it. 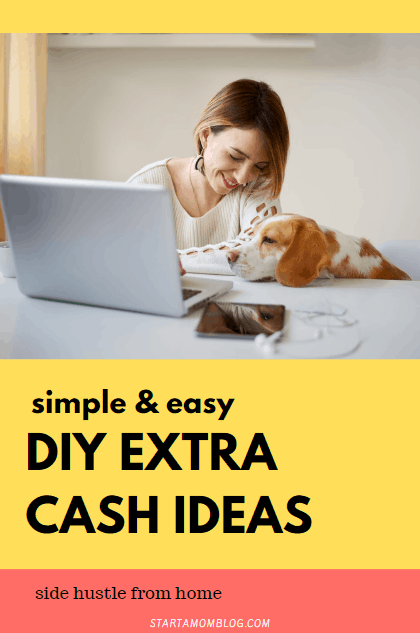 I’ve shared my favorite creative ways to make money from home. If you didn’t like any of those methods, here are 50 more ways to make money from home + hourly rates. Bonus, these ideas work super well if you’re a mom like me! Last, but not least…do what makes your heart, soul, and mind happy. Life is way too short to be doing something that you don’t enjoy. If you are at a place in your life where you want to earn more money, make it happen! Even if that means you’re just looking for a side gig to supplement your full-time earnings…it’s fine! Every one of us has very different reasons for wanting to start a side hustle. The outcome can be successful in helping your finances if you truly want it to be. Earlier I hinted about telling you what my favorite part of earning money creatively is…and I’m ready to spill the beans. My favorite part is to work from home on the things that I love, with people I really like, on projects that bring me joy! And huge bonus, I get to do it all while being home with my family! To me, time is precious and being able to provide for our family, doing something that I love is absolutely priceless. What are some other creative ways to make money that you’ve tried? I started doing the naming contests. I havent won yet but I wont let it get me down. I am pretty good at it and it inspired me to try buying and selling domain names I have made up. I love it. Im nervous about it but very excited to do it. People look at me like “ya right” but when I win my first contest watch out nay-sayers. I wont stop.